The Indian judicial system can boast of many landmark judgments that have served society at large. Of these judgments, one recently attracted eyeballs from the global audience to have served social change by protecting judicial independence and questioning legislative authority of the state. 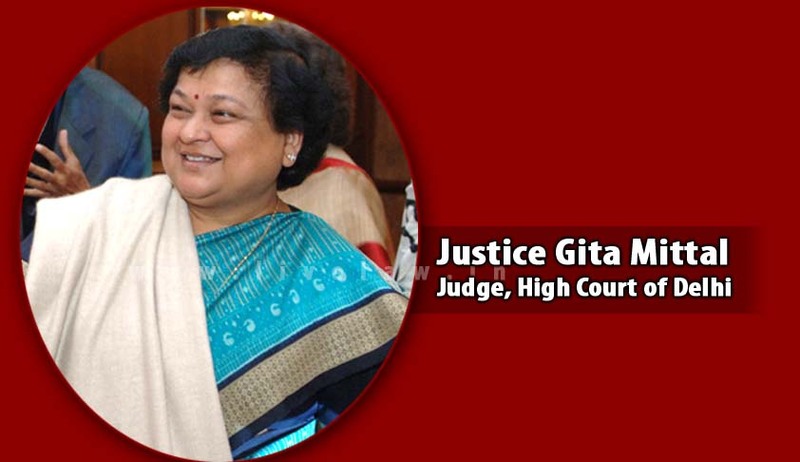 A Delhi High Court judgment of 2013 penned down by Justice Gita Mittal has been included in Yale Law School's prestigious publication "Global Constitutionalism 2015" and is a rare international recognition to a judgment by an Indian judge. The publication by the top law school highlights works of judges to answer many questions on judiciary's role in conceptualizing the obligation of state to support or to provide services to its citizens. The judgment by Justice Mittal struck down the Court Fees (Delhi Amendment) Act, 2012, and has been included as one of the only six judgments from across the world under the segment Subsidizing Courts: Waiving Fees and Funding Lawyers. "In the nineteenth century, Jeremy Bentham described court filing fees as a "tax upon distress". The cases excerpted below are but a small sample of the many judgments addressing whether courts must waive or adjust filing and user fees, transcript fees, and require funding for lawyers or modify procedures to enable individuals to make claims in courts - as defendants or as plaintiffs in civil or in criminal cases," reads the publication. Many have applauded Justice Mittal and the contribution her judgment has made to the society at large. “It is a matter of great pride for us that Justice Mittal's bold and insightful judgment in the court fees case has made it to this reputed Yale law publication. India must continue to shape the justice and we need more such judgments that break new ground and pave the way for a more progressive jurisprudence,” said Prof. (Dr.) Shamnad Basheer, honorary research chair professor of IP Law, Nirma University, and visiting professor of Law, National Law School, Bengaluru. In 2012, the Delhi High Court Bar Association and an aggrieved Umesh Kapoor had approached the court challenging the constitutionality and validity of the Act, where the Legislative Assembly of National Capital Territory of Delhi had amended the old Act to increase court fees. For a matter in dispute worth up to ₹50,000, the court fee became ₹1,000 as against the earlier fee of ₹48. Similarly, for matters up to ₹4 lakh, the fee was ₹6,248 with an additional 1 per cent of the value of the matter in dispute. This was raised to 4 per cent under the new legislation. Justice Mittal, along with Justice JR Midha, held that according to Article 239AA of the Constitution of India, Delhi Legislative Assembly was not empowered to effect amendment of the Court Fees Act 1870, a Central legislation. "The State has filed to discharge the onus which rested on it to justify the increase in the court fee," said the judgment. This judgment found its way to the publication along with only five other judgments from the Supreme Court of Canada, Supreme Court of the United States and European Court of Human Rights. The reference to the judgment in the publication is a rare recognition to Justice Mittal, who held in her judgment that the Delhi Legislative Assembly did not have the legislative competence to amend Court Fees Act, 1870, and directed the government to refund the court fee, which was recovered from the litigants on the basis of the new legislation.